Broadcast quality XLR to Lightning interface for iOS devices. Headphone Output with adjustable level. 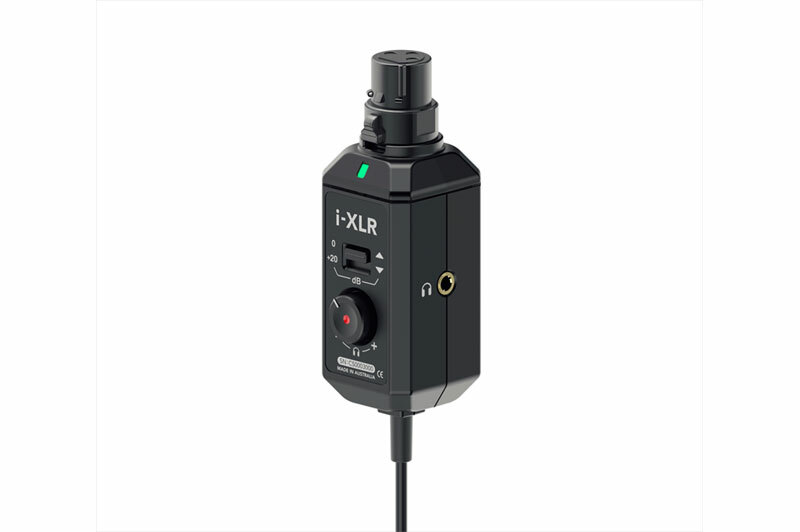 The RODE i-XLR is a broadcast quality XLR to Lightning interface for iOS devices, that allows reporters, correspondents and audio professionals to quickly and easily capture professional interview dialogue to a smartphone or tablet. A generous three meter shielded cable allows the operator to store the phone in a pocket or bag, and a headphone output with adjustable level on the body makes it easy to monitor your audio during an interview. For dynamic microphones, the i-XLR features a +20dB level boost, giving these microphones a high level of clean gain.